Does ConAir Infiniti Pro Really Work? 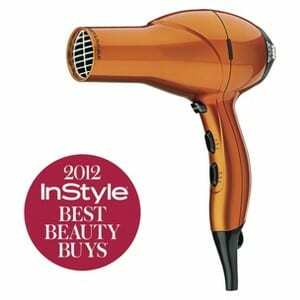 The ConAir Infiniti Pro promises to give you a salon caliber hair drying experience at an affordable price. It’s got some of the best reviews and ratings we’ve seen for a hair dryer at this price point, so we just had to try it out and see what all the fuss is about. We’ve tested it out and have our results for you in the video below. If you’re tired of taking forever to blow dry your hair, this could be the solution you’ve been looking for. When it comes to getting your hair dry, there are only a few factors that go into it. The force of the air blowing through your hair, and the temperature of that air. The Infiniti Pro tries to accomplish both of these tasks, but also pushes the technological envelope by using ceramic for the construction, and ions to keep your hair from getting all frizzy and fried when you use it. ConAir Infiniti Pro claims that it can dry your hair twice as fast as a conventional hair dryer. They also say that it does this without damaging your hair due to excessive heat exposure. They also say that because it uses both ceramic as well as ion technology, you’ll get better results. They say that there sill be no fizz, and no static, just smooth hair left behind. They also say that you’ll have more control with this that you would with other hair dryers, because it has three different heat settings, as well as the ability to give a cold shot, and even two attachment heads that you can use for different styles and looks. They say that this is whisper quiet, but c’mon it’s a hair dryer. It’s definitely not whisper quiet, but it’s not as loud as you would think it would be with an 1800 Watt motor. ConAir Infiniti Pro is less than $30 on Amazon right now. This should represent a reduction in the time it takes you to dry your hair, and therefore would mean spending less time doing your hair and getting ready. That can mean all the different if you oversleep, or if you’re late for a date or an appointment. ConAir Infiniti Pro is pretty easy to use. There is only one drawback that we’ve found so far and that is the button placement, or perhaps the sensitivity of the buttons. They tend to get accidentally pushed while drying, and you might have to click it back to the setting you were on if your finger slips and you end up putting it on warm when you want it on high. Other than that it is pretty great. It’s lightweight so you don’t get tired holding it up while you’re using it. Even if you have longer or thicker hair you should be able to get it all done before tuckering out, especially since it works in less time. Even though some people still say it’s heavy, arthritic users have said they have no trouble using it, so we wonder how someone could say this is a heavy hair dryer. They say that this hair dryer has a $100 value and they compare themselves to this Farouk model. They are both similar looking, with similar specs and even a cold shot button. It’s interesting to note that the Infiniti Pro has a better review rating, with a higher percentage of users giving it a 5 star rating, and a lower percentage of users giving it a 1 star rating. By being over four times the price you’d think that you would be buying your way into a better hair dryer, but on all counts, the Infiniti Pro beats out the “professional grade” Farouk model and is the hands down winner. We like the ConAir Infiniti Pro and are giving it the Thumbs Up. It’s not very often that you find a product at this price point that performs so well. It is roughly the same price as run of the mill hair dryers you find on department store shelves, but packs the sort of features and performance that you’d expect from a hair dryer in a New York salon. You owe it to yourself to try this, especially if you’re fed up with your current hair dryer and are looking for a ceramic upgrade. This is the hair dryer we would go with, as it has given us consistent results for some time now, and it has lived up to all of its claims. But we’re curious as a cat, so we’ll continue on the hunt for an even better hair dryer, at an even better price, and bring you the results just as soon as we have them. What do you think? Does ConAir Infiniti Pro work or not? This is a great blow dryer. The Conair Infiniti Pro gets your hair dry quickly and without the frizzy look that some blow dryers can do. It doesn’t cost that much. I have had mine for a year now and it works just as good as the first day I purchased it. I don’t have anything bad to say about it. When you want to dry your hair, the blow dryer will stay hot, but not scorch or it doesn’t. This hair dryer does!